What's the program? If you're a Windows user, it's Wondershare Dr.Fone for iOS (Windows); if you're a Mac user, Wondershare Dr.Fone (Mac) is the option. Both of them can help you save iPhone contacts to your PC or Mac, no matter you use iPhone 5, iPhone 4S, iPhone 4, or iPhone 3GS. 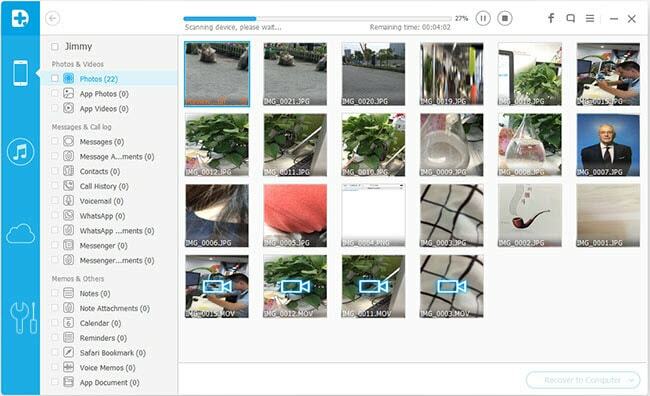 What's more, you can use them to save other data like messages, notes, photos, videos, call logs, calendars and more to your computer. They're completely safe and trustworthy. Just have a try. For both Windows and Mac users, the way to save contacts from iPhone to compute is similar. Here let's try with the Windows version of Wondershare Dr.Fone together. 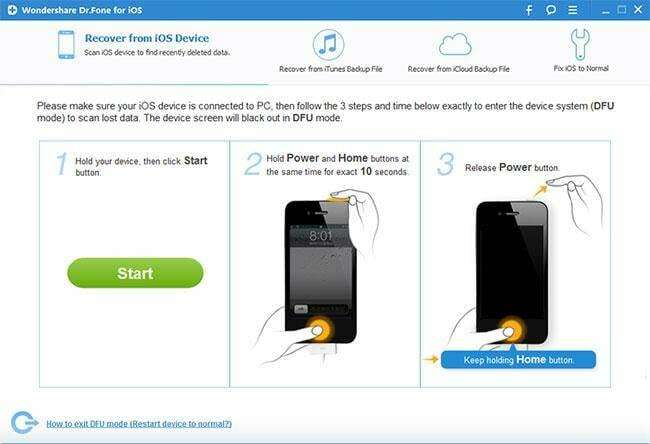 First of all, run Wondershare Dr.Fone on your computer, and the primary window will show as follows (here take iPhone 4 as an example). Then connect your iPhone to the computer, and move to the next step. After connecting your iPhone to the computer (make sure it can be organized by your computer), follow the way below to enter the iPhone's scanning mode to scan your contacts on it. 1) Click "Start" on the program's window. 2) Immediately press the Power and Home buttons on your iPhone after the Start button. 3) Release the Power button after 10 seconds (Don't worry. The program will count it for you), but keep pressing the Home button for another 15 seconds, until you're told that you've successfully entered the scanning mode. Then the program will scan your iPhone as follows. Note: If you use iPhone 5 or iPhone 4S, it's a little difference here. You only need to click the Start button on the primary window and wait for a moment, the program will automatically do the left work for you, and you'll also get the scanning window below. When the scan finished, you'll see a scan result, where all data found on your iPhone are well categorized, like photos, contacts, messages, notes, and so forth. Click Contacts on the left side. 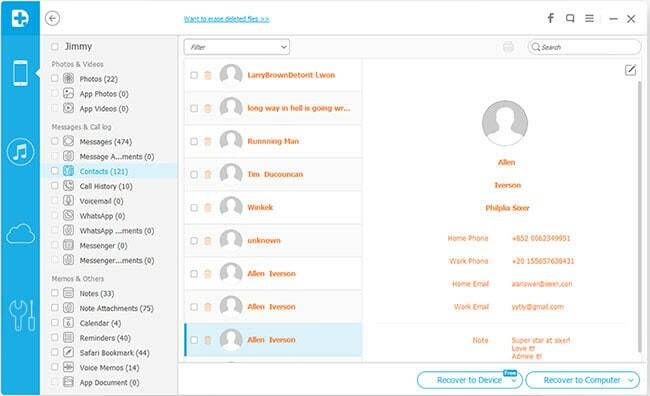 You can preview all details, including name, company, phone number, email, etc. Then mark what you want and click Recover to save them on your computer with one click. Note: Contacts found here are not only those currently on your iPhone, but also those recently deleted from your iPhone. Both of them have their own colors. If you want to separate them, you can use the button: Only display teh deleted items.